In some key areas, the Garden State (if it were the Garden Nation) would perform well in comparison to other countries. For example, New Jersey’s per-capita gross national income would be the sixth-highest in the world. In other key areas, the nation of New Jersey would lag. Among the 149 countries for which the World Bank has compiled income data, only 19 have income distributions that are more top-heavy than New Jersey’s. The recent publication of the World Bank’s World Development Indicators [pdf] report makes it possible to compare New Jersey to other nations on a number of indicators related to economic productivity, development and urbanization. Overall, New Jersey’s performance relative to the rest of the world reveals some room for improvement, but also illustrates how New Jersey can be seen as a harbinger of how the trend toward greater urban development might play out elsewhere. New Jersey’s 2008 population density of 1,168 people per square mile is more than 10 times that of the country as a whole (86) and exceeds the densities of some of the countries we think of as being the most crowded: India (992), Belgium (917), Japan (907), Israel (875) and the Philippines (785). In fact, excluding a handful of small island nations and city-states (e.g., Monaco, Singapore, Malta) that are more properly compared against other cities rather than nations, New Jersey would rank as the fifth most densely populated country in the world, trailing only Bangladesh, West Bank/Gaza (which the World Bank treats as the de facto nation of Palestine), South Korea and the Netherlands. New Jersey is definitely ahead of the worldwide curve when it comes to accommodating large numbers of people relatively close together. On a similar note, New Jersey is much more urbanized than the rest of the world, with 94 percent of its population living in urbanized areas (roughly defined as areas with a population density of 1,000 or more per square mile). Only four countries—Singapore, Kuwait, Belgium and Qatar—are more urban. And if we look at what percent of the population lives in urbanized areas of 1 million people or more, New Jersey rises to second place among the 105 nations for which these data are available; only the city-state of Singapore (100 percent) is higher. (In the United States overall, 43 percent of the population lives in urbanized areas of 1 million or more.) If the future of the world is in large urban agglomerations, as the United Nations projects, New Jersey is already there. New Jersey is also ahead of the curve in using agglomeration economies to translate urbanization into prosperity. If it were its own country, New Jersey’s per-capita gross national income (as approximated by Gross State Product) of about $55,000 would rank it sixth in the world, behind Liechtenstein ($98K), Norway ($87K), Luxembourg ($69K), Denmark ($59K) and Switzerland ($56K), and ahead of several other countries—including Sweden, Ireland and the Netherlands—whose per-capita GNI exceeds that of the United States as a whole ($47,000). In terms of income disparities, however, New Jersey (and the rest of the United States) more closely resembles Latin America or southern Africa than Europe. In New Jersey, the top 20 percent of income earners in 2008 earned 15 times more than the bottom 20 percent, just slightly more lopsided than the national figure of 14.7 but far more unequal than the countries of both Western and Eastern Europe, where the ratios typically run in the three-to-six range. New Jersey’s income inequality is more pronounced than that of Russia, China, Turkey, the Dominican Republic, Costa Rica, Cambodia, Nigeria, Kenya or Nepal, and is about even with Chile, Argentina, Mexico, Nicaragua and Peru. Within New Jersey, the wealthiest municipalities (e.g., Saddle River, Alpine, Far Hills) boast per-capita incomes of $150,000 or more, while the poorest (e.g. Camden, Bridgeton, Paterson, Asbury Park) barely exceed $10,000. New Jersey’s income distribution is not only more skewed than in most of the rest of the world, but the disparity expresses itself geographically, resulting in a stark contrast at the municipal level between the haves and the have-nots. Though highly urbanized, New Jersey has done a respectable job of preserving and protecting its open lands. As of 2009, open space, farmland and parks that had been permanently preserved by all levels of government comprised 29 percent of the state’s total land area. The comparable figure for the United States (lands in federal hands that are not open for development) is not far behind, at 27 percent. 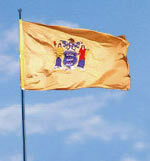 Both New Jersey and the nation as a whole are well ahead of most of the world on this score, including most of the developed world, though there are some surprising exceptions; several southern African nations with huge wildlife preserves—Zambia (41 percent), Tanzania (39) and Botswana (30)—surpass New Jersey’s rate of preservation, as do Guatemala (33) and Costa Rica (31) in Central America. That New Jersey is more densely populated and more urbanized than most of the rest of the world, yet has also managed to protect a larger share of its open lands, could be seen as a model for developing countries as they transition from agrarian societies to ones powered by major urban centers. Of course, much of New Jersey’s recent development has been low-density, single-use and automobile-dependent and hence probably not desirable to replicate in countries that are only recently urbanizing. But if New Jersey were to seriously embrace its State Development and Redevelopment Plan as a blueprint for determining the future of the 29 percent of its land (as of 2002) that is still available for development, it could show the rest of the world how to balance growth and preservation as it approaches full build-out—another milestone that New Jersey appears destined to reach before the rest of the world. UPDATE [11-10-10]: Nicholas Kristof of the New York Times [reg. required] looks in more depth at the issue of income inequality, notices the US’s similarity to Latin America, and muses on the implications of our becoming a banana republic.